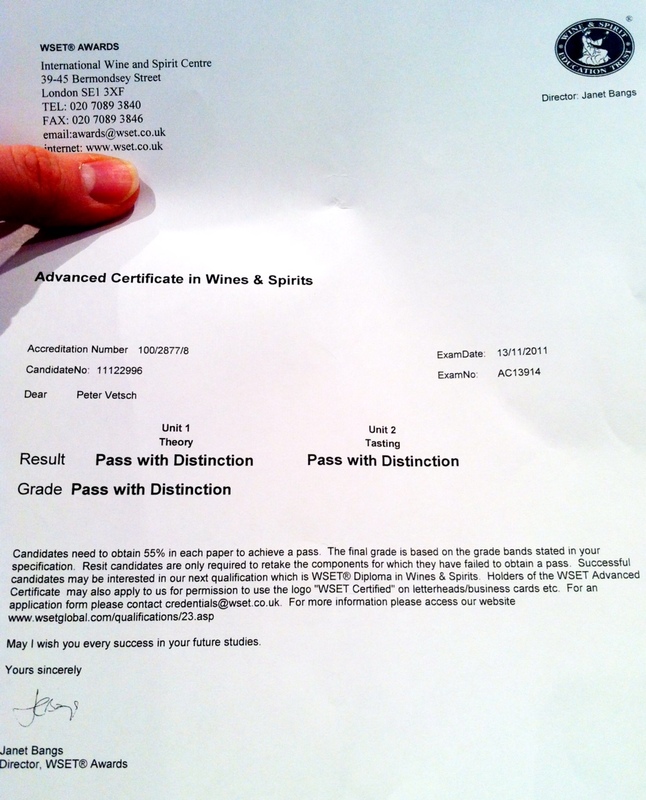 I now have a fancy certificate (which I’m not allowed to reproduce in any form, hence the substitute pic of the boring accompanying letter above) to hang in my not-yet-built wine cellar, a somewhat-less-fancy green pin and a heck of a load off my mind…I think I was more nervous about this exam than I was when I wrote the LSAT. 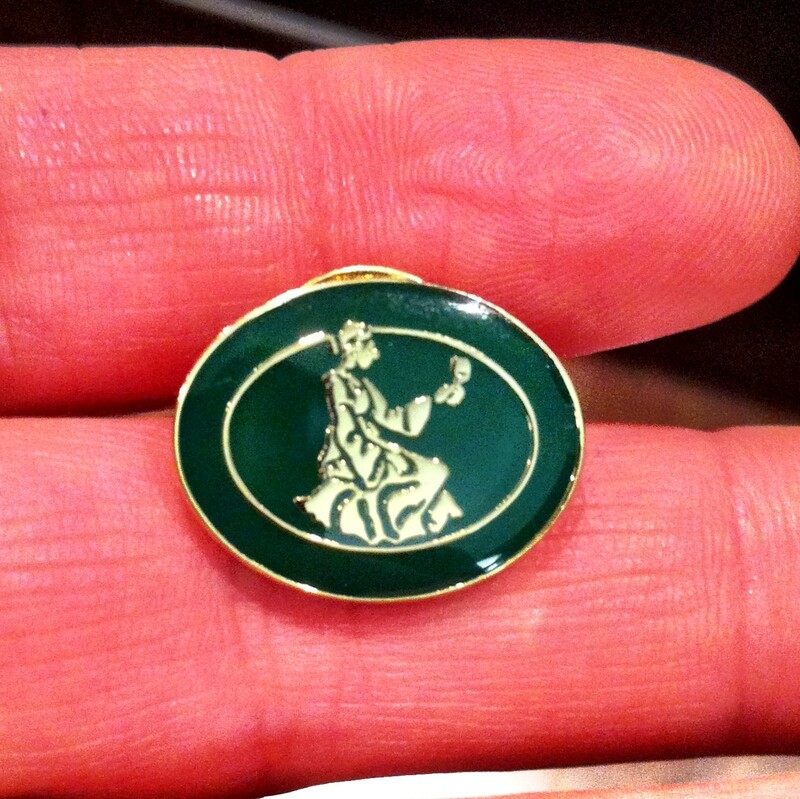 An anticlimactic but hard-fought pin. According to the WSET website, I can now work “in the drinks and hospitality industries in a supervisory capacity” (who’s hiring? 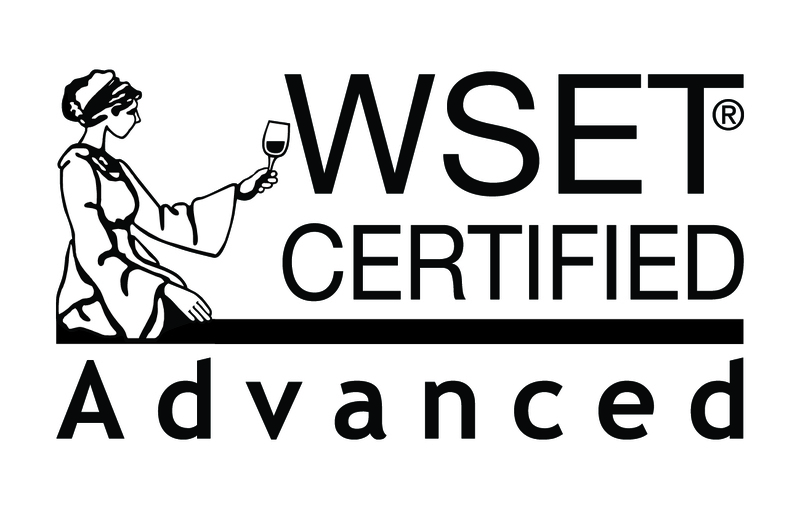 🙂 ) and, more importantly, apply to the WSET to use the “WSET Certified Advanced” logo on my letterhead and business cards! I am totally doing this. This has completely made my week. I will crack and write about a suitable celebration bottle shortly, but for now I’m just going to sit back, savour the moment and thank my lucky stars that my tuition money didn’t go to waste. Cheers! !